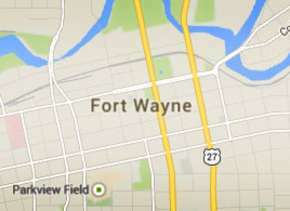 Fort Wayne is the second-largest city in the state of Indiana, and the hub of Northeast Indiana. We are located in Allen County, the largest county east of the Mississippi River. 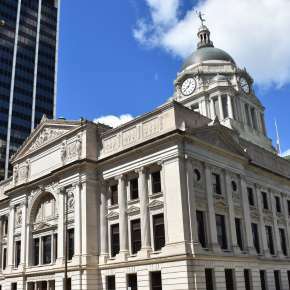 Fort Wayne makes up 16% of Allen County and the rest of the county is comprised of smaller towns, unincorporated suburban area, parks and nature preserves. 65% of Allen County is agricultural land. The Fort Wayne Metropolitan Statistical area is comprised of Allen, Wells and Whitley counties. The 2017 U.S. Census places the population of the three-county Fort Wayne Metropolitan Statistical Area above 430,000. 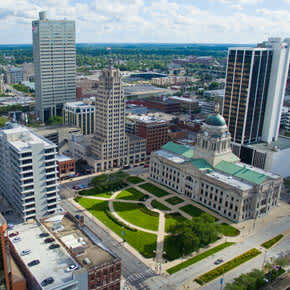 Fort Wayne is home to 265,904 of Allen County’s 372,877 residents, making two thirds of the county’s resident’s city dwellers.